The vision is one where no one should have to tolerate or be exposed to abuse, neglect or exploitation. Diversity and difference is addressed effectively through interagency policy, procedure, guidance and SAB activity. It is about both preventing abuse and neglect, and promoting good practice when responding to specific concerns, in line with our Key Principles. Where abuse is suspected or alleged, then Safeguarding Adults Procedures (PDF) can be used by organisations and services to make sure that a consistent and comprehensive response is provided. 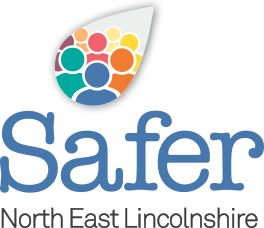 Safeguarding adults can include any work or activity which aims to support vulnerable adults to retain independence, well-being and choice and to be able to live a life that is free from abuse and neglect. To do this we employ an inter-agency policy called Making Safeguarding Personal. The Safeguarding Adults Board meet on a quarterly basis and is Chaired on an annual rotational by its members. This Board is responsible for endorsing the SAB Business Plan, Monitoring Performance and reviewing a variety of reports brought to the Board. The Operational Leadership Group meets quarterly and takes responsibility for ensuring the Business Plan is delivered. The Operational Leadership Group oversees the work completed by the Subgroups.